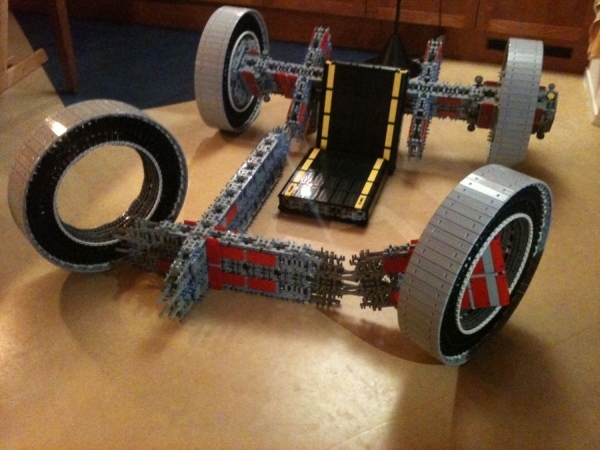 We have seen lots of unique, cool and amazing creations made from Lego bricks. However they might be unique or cool in one way or another but all of them were not fully functional and also not 100% pure Lego made. 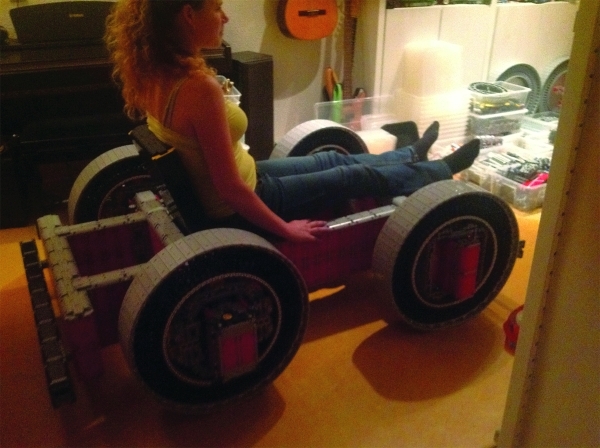 But the life-size Lego build go-kart by a Dutch Lego fan Eric Steenstra is both: it is fully functional and is made entirely from Lego bricks. 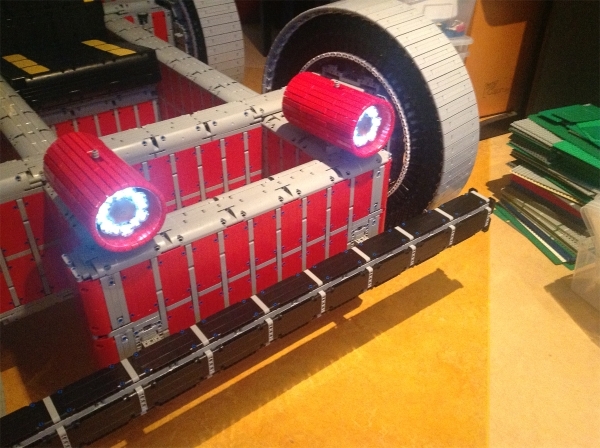 There is no use of metal supports or glue or anything else that can hold the machine together just Lego bricks. 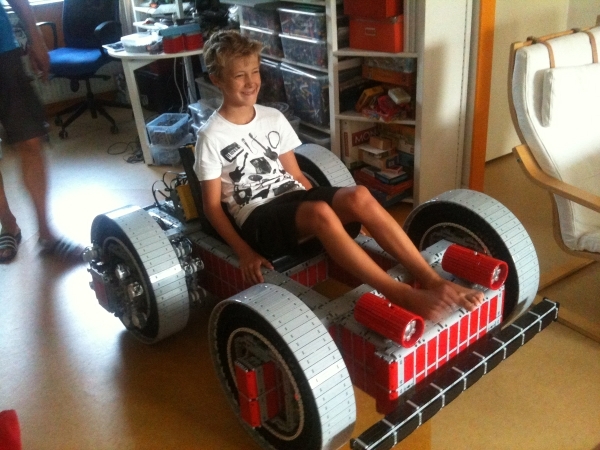 Steenstra has made this Lego go kart for his son which is built strongly enough to carry him around. 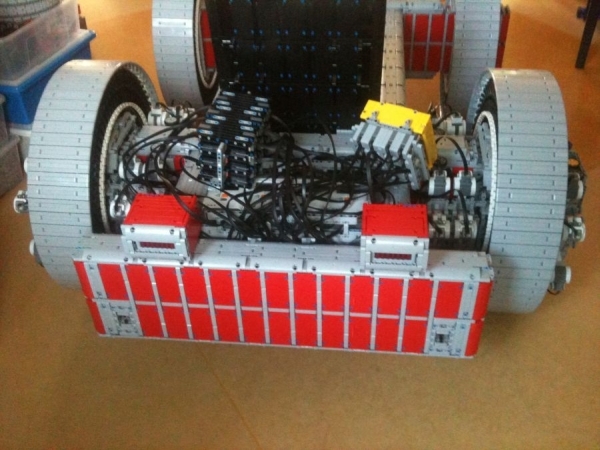 The cart weighs about 135 pounds and is powered by 48 Mindstorms motors which mean it uses lots of AA batteries. 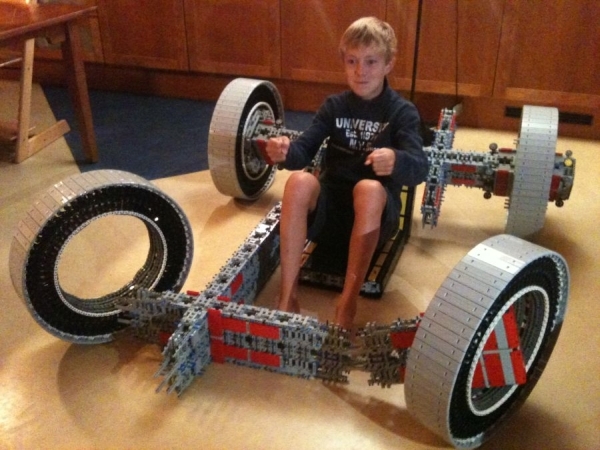 The fully functional Lego go cart is still work under progress and at this point lacks speed and steering mechanism. 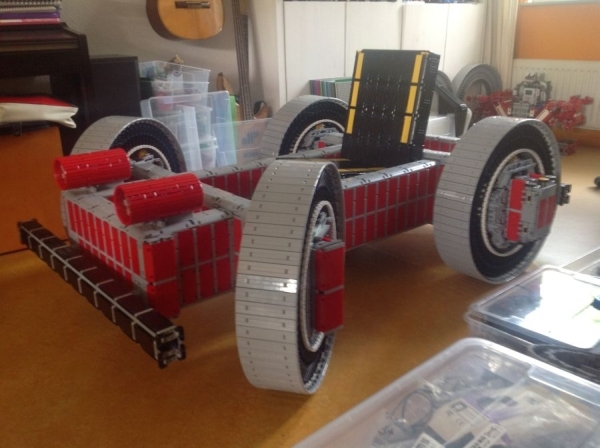 So looks like we have to wait to get our eyes on the complete creation but till then you can enjoy the pictures of this incomplete Lego creation right here.